Here is a very striking article by Andre Picard from the Friday, August 27 Globe and Mail. It is entitled “Caregivers suffering depression, rage“, and it concerns two studies of family members who are caring for those suffering from dementia by the Canadian Institute for Health Information. I think that it should give great pause to all of us, and particularly those who are middle-aged caregivers. Jungians tend to be rather suspicious of statistics about human experience, and I think that there are often very good reasons for some scepticism. 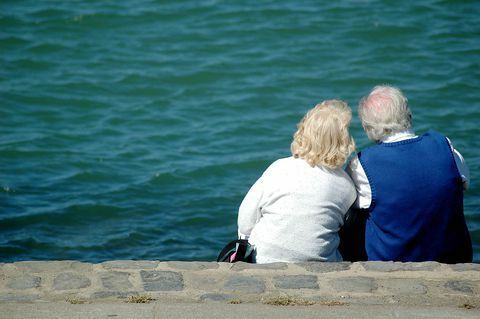 However, I think that studies like Supporting Informal Caregivers – The Heart of Home Care and Caring for Seniors With Alzheimer’s Disease and Other Forms of Dementia show us an important aspect of a social reality that impacts our society, and in Jungian terms, has a huge impact on the individuation processes of very large numbers of individuals. It needn’t take studies like these for us to be aware that there are some huge problems in this area. In particular, I’m very aware from my practice of the large number not only of elderly, but also of middle-aged people, often but not always children of seniors, struggling with the demands of elder care. Those who are trying to assist seniors suffering from dementia, including Alzheimer’s disease are finding the burden especially crushing. The actual care can be demanding, but what is especially difficult for many people are the burdens of stress and intense emotional suffering associated with being this type of caregiver. to 32% if the senior had symptoms of depression. There are an estimated 2 million plus informal caregivers in Canada. If anywhere near 16% of that number are in distress, that is a huge number of people who are struggling. Unquestionably, this kind of informal care provision imposes a huge burden, one that is only poorly understood by those who have not had to carry it, and by our society as a whole. Few who have not had to face the burden of a relative who slowly becomes consumed by delusions and paranoia can have any idea of how difficult that can make relationships with someone who was once a vital family member. Similarly, loss of memory, language and reasoning abilities can make it impossible for such a person to do even simple daily tasks, e.g., answering the phone. Generally, grief is thought of as an emotional experience that follows a death. However, with dementia, grief is attendant upon every loss and just goes on and on. These elder care situations highlight some enormous questions for the well-being and the individuation process of the caregivers involved. How much sacrifice can society expect of the family members of the elderly suffering from various forms of dementia? How much sacrifice should such caregivers expect from themselves? Is it even in any sense a good thing for physical life to go on, after dementia has obliterated the personality of a person? There can be little doubt that people carrying the burdens of caregiving for seniors need very substantial support. They also need the opportunity to explore in depth the emotional issues that such caregiving brings up, along with generally trying to make meaning of the often very difficult situations in which such caregivers find themselves. Often psychotherapy of a Jungian type can serve as the best possible gateway into exploring and accepting the deep feelings and emotions that occur as a part of this time of life. Does dementia eventually bring an end to the individuation process? Jung apparently thought that it brought the end so far as we could know in this life: was he right? How might a person’s obligations to the Self and as a caregiver fit together? How would you fit them together, if you found yourself in such a position? On an even more fundamental level, what do you believe about the end of life?